Certified Sales Compensation Professional: Is the designation worth it? If you’re serious about a career in sales compensation you should be serious about becoming a WorldatWork Certified Sales Compensation Professional. WorldatWork is a global association supporting compensation and benefits professionals. They offer excellent education programs with offerings appropriate to all levels of professionals from novices to experienced practitioners. They organize annual conferences to bring these professionals together for networking and idea sharing, with some conferences focused on specific topic areas (executive compensation, sales compensation) and some more general (the Total Rewards Conference). They publish magazines and online resources. And they certify professionals in many areas of compensation, benefits, and total rewards. As mentioned earlier, CSCP stands for Certified Sales Compensation Professional. While there are other organizations offering certifications in compensation and benefits areas, WorldatWork offers the only internationally recognized credential for sales compensation professionals. Those who hold this credential have demonstrated mastery of the “Body of Knowledge” of sales compensation management. What preparation is required to be certified as a CSCP? The simple answer is that experience with sales compensation management is the requirement for CSCP. And that doesn’t just mean that you’ve read a sales compensation plan, or that you’ve managed your company’s compensation plans. The test is “competency-based,” which means that mastery of the material is hard to teach in a class or learn from a book. The competency to pass the test is best gained from being both a student of sales compensation and a practitioner. WorldatWord recommends a minimum of two years of full-time experience in sales compensation management. Once you’ve got the experience managing sales compensation, or while you’re doing it, broadening your understanding beyond your own industry and the particulars of one or two (or five) companies will be important as well. To do this, attend conferences and webinars on the topic, find your peers and network, read some of the excellent books that will give you the broader view of the principles and best practices. Attend the “Spotlight on Sales Compensation” conference, generally held every year in late summer. Google that phrase to find details for the next one up. Specifically, what does the CSCP test cover? Management/administration of sales compensation plans and payment. These are general categories intended to illustrate the breadth of the topics covered in the exam, and to avoid listing all 67 (!) specific competencies tested. How much does it cost to take the CSCP exam? The Certified Sales Compensation Professional test is a significant investment in the $1,000 range, with a higher rate charged for non-members. There’s also an option to take a practice exam for much less ($50), which is probably a good idea to be sure you’re ready before the larger expenditure. That can happen. It’s a tough exam. But if you do the work to prepare, you’ll still have the knowledge you gained in the process. And you’ll very likely pass on the second attempt. Jennifer Dignum, of Xactly, blogged about her experience of preparing for the CSCP exam, taking and failing the exam, which she says was definitely a valuable experience. Why even bother with the CSCP exam? Since I became one of the first 16 people to be a Certified Sales Compensation Professional back in 2010, very few people have asked me about the certification other than to inquire about whether or not they should pursue it. No VP of Sales has ever been relieved to hear that “his” consultant holds a CSCP designation. It may have mattered to a VP of HR or a head of compensation in a few instances, but it was never demanded or called out as an impressive credential by a client. All this is to say that it’s not a particularly effective way for a consultant to impress a client. So, why did I do it, and why do I continue to advocate for the certification in the profession? Like the best of tests, the value likes in the preparation. The real value is the better sales compensation plans that are developed by people with a broad understanding of the principles, best practices, interdependencies and variety of possibilities. And I happen to believe that better sales compensation plans make for more successful businesses, more productive sales people, sane and balanced plan administrators, even more satisfied customers. Many people benefit when sales compensation plans are designed and managed well. 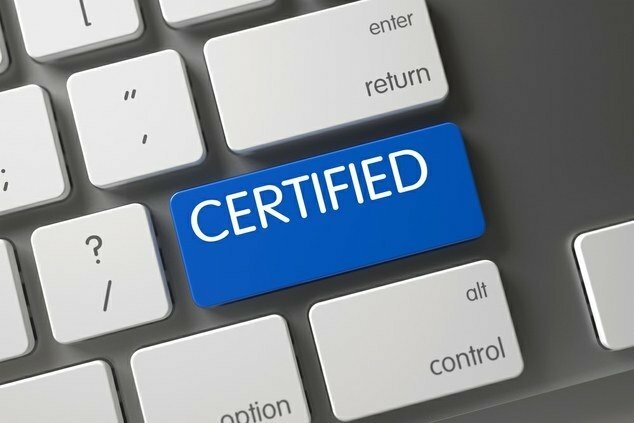 In addition, taking the time to be certified demonstrates a commitment to the field as a profession (not just something one might dabble in for a few years). A community of practitioners can generate a richer and more value-creating perspective than one smart person operating without that community. Becoming certified is an acknowledgment of the value of the community and its work. And, ideally, the process of preparing for certification should make one a more capable practitioner.